It’s a crisp and bright autumn morning. I have a steaming cup of ginger and lemon in my hand, and an ever-more-contented little dog curled up at my feet. I am wondering what to write. I actually have a collection of half-written blog posts I could choose from: about the medieval dress I made, about what’s on my drawing table, or in my knitting bag, or in my brain. But like these creative projects, blog posts also sit unfinished a lot longer than they used to in these days of learning about balance. As always, the right blog to post is the honest one. Those are always more juicy to write and, I suspect, more satisfying to read. I am challenged at the moment to accept the limitations of a 24 hour day, during which I also want to eat, sleep, rest and look after my family. This is new. I have never, ever prioritised these things, anything, above work. I have always treated myself, my creativity, as a machine, cracking the whip to get things done without regard for sanity or health. Now I am choosing to do things differently, but it’s uncomfortable. It doesn’t quite flow yet. The going does not feel smooth because this is territory I don’t know. I am used to finishing things. I am used to cycles of euphoric exertion followed by a crash and burn. I have spent the last eight years in an aggrandised version of that, from which I’m still emerging. Emerging with the question: can I do things differently? What would it be like to have a working pattern that is sustainable? Is it possible? How do I explore and honour creativity as a gift, not an obligation? Can I use it in a way that nurtures rather than exploits my body, my mind and my family? When people ask what I’m working on, these questions are my answer. 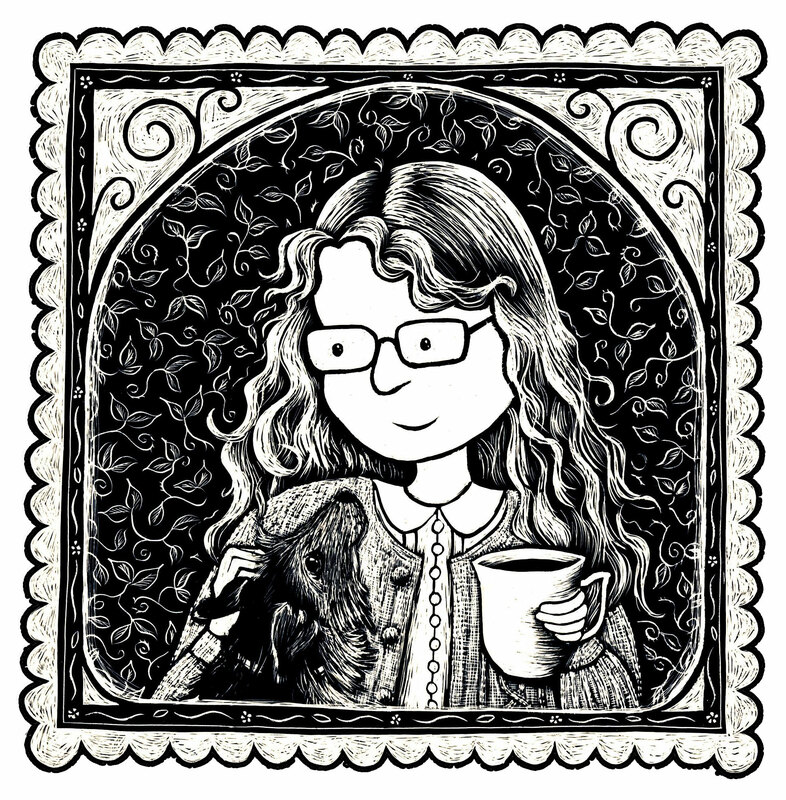 I’ve just returned from a wonderful holiday in Scotland, with good company from my illustration buddy Katriona Chapman. The weather was very, very kind to us (I couldn’t resist a dip in that perfect water) and the fresh air, mountains and sheep were very, very good to my brain. At this point, I would normally say I’ve returned re-inspired and promise to knuckle down and be productive, but I’m wary and cautious of putting pressure on myself. I have returned inspired and energised, full of ideas and more keen to be at the drawing board than I have for many months. But I can make no immediate promises of what I will draw and when, just that I will practice turning up at my desk and being patient with whatever that brings. Thank you for being patient with me.